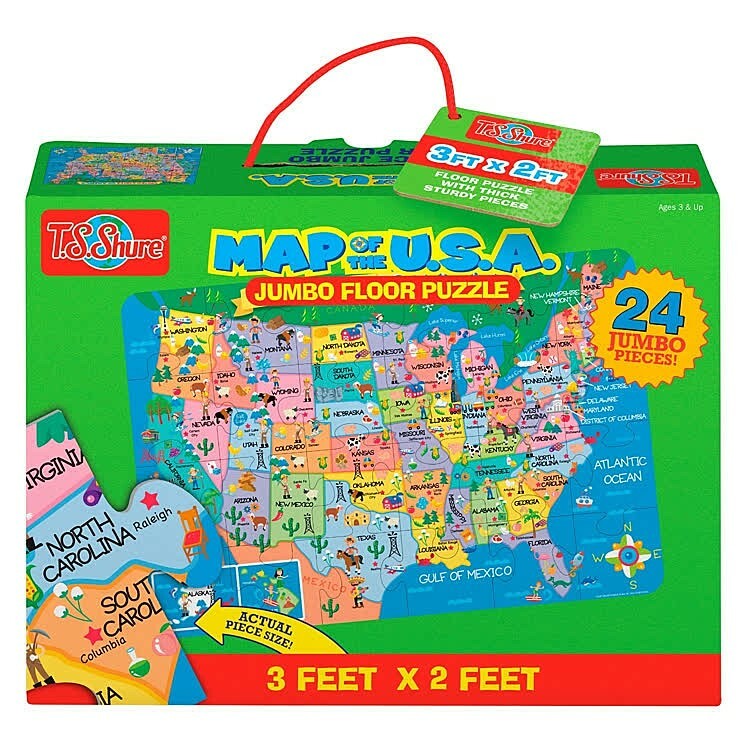 The Map of the U.S.A jumbo floor puzzle will make learning about our country more interesting! 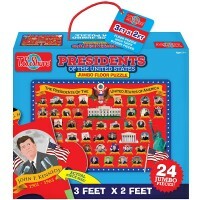 Take a journey across the USA with the updated US Map 24 pc Giant Floor Puzzle! 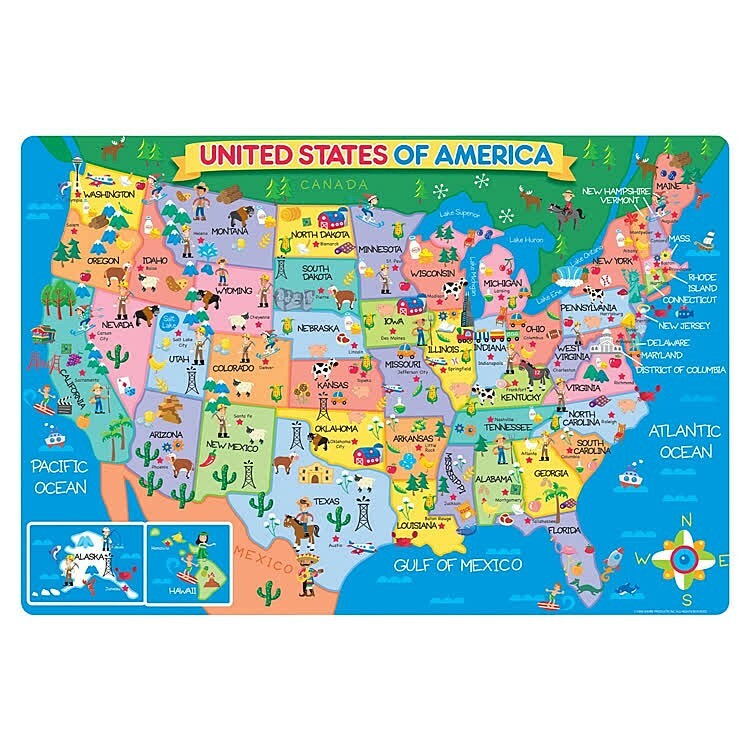 Your child will learn about the great landmarks and unique qualities of the 50 states with this geography puzzle! 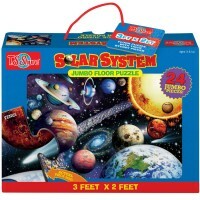 US Map 24 pc Giant Floor Puzzle by Shure is a great educational puzzle that will make learning about our country more interesting! 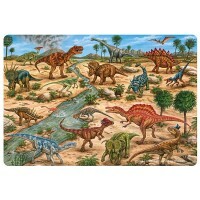 Colorful illustrations make this kids map puzzle perfect for young children! 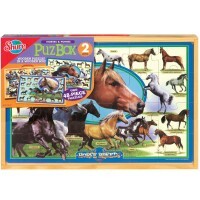 The sturdy cardboard packaging with carrying handle makes it easy to take this geography puzzle anywhere you go. 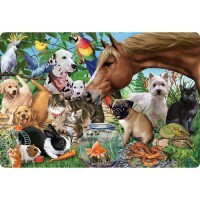 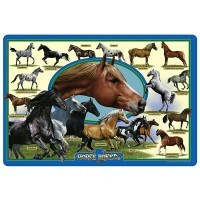 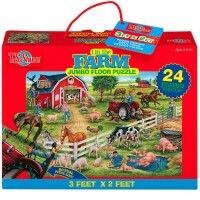 The 2 x 3 feet US Map 24 pc Giant Floor Puzzle includes 24 vividly painted large puzzle pieces and a carrying case. 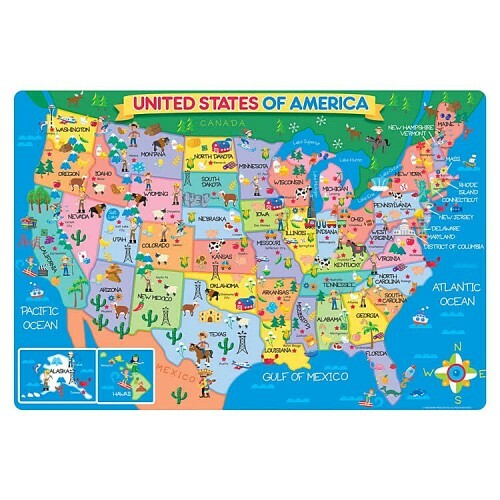 Pack your suitcase and be ready to explore with Educational Toys Planet's Map of the USA jumbo floor puzzle! 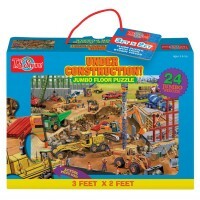 Write your own review of US Map 24 pc Giant Floor Puzzle.